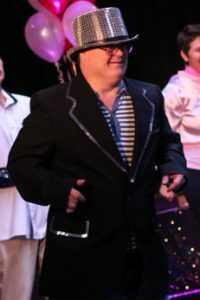 Our day service activities offer opportunities for individuals to celebrate their wide diversity of talents, entertain audiences and work with other community groups. 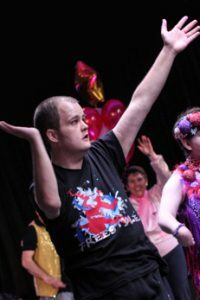 Our activities are designed to build self confidence, self esteem, self expression, promoting a sense of self worth whilst broadening social circles and promoting inclusion, we encourage individuals to celebrate the wide diversity of talents unique to them and embrace their creativity. With self realisation and increased confidence individuals will use their skills in other areas of their lives towards future goals and inspire others to reach their potential. Our dance coach Joanne Lowe delivers exciting sessions at our studio and is currently teaching new routines for exams and our productions. 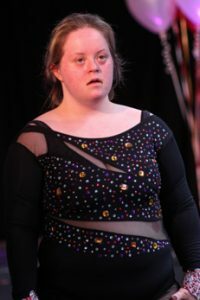 Dance can empower individuals and communities. Theatre is a force that can unite, uplift, teach, build communities and inspire. Drama can help you feel more confident, help you make friends and have fun. Our Positive atmosphere and exciting games are designed to promote communication and listening skills, concentration and trust, improve personal self esteem, work as part of a team and broaden social circles, whilst having fun. Our vocal coach will help you find your voice and improve your vocal talents using fun exercises to promote correct breathing and breath control. You will learn key vocal skills to help you speak with confidence and communicate more effectively.